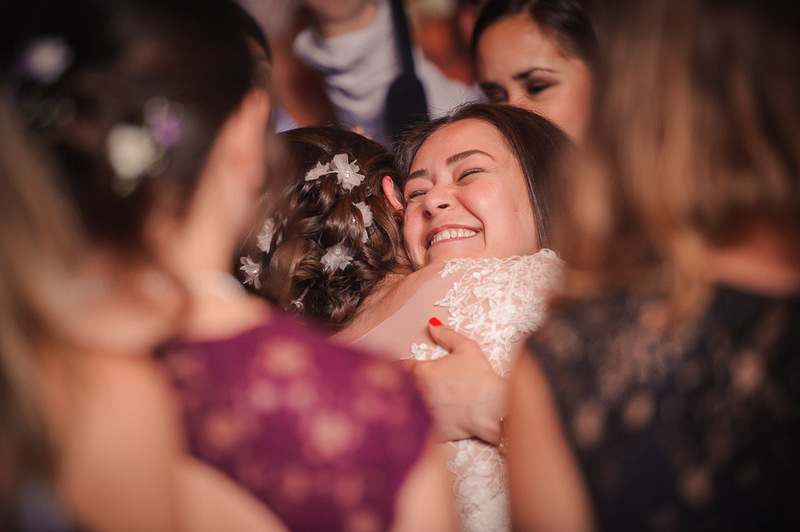 We still can't stop smiling thinking about Elana and Michael's amazing wedding at the Richmond Hill Country Club as it was the perfect lead in to start the summer of 2015. Having worked with Elana and Michael for their engagement pictures last month, we knew they were creative, not scared to step out of their comfort zone and open to any ideas we had so we were really excited to finally document their big day. 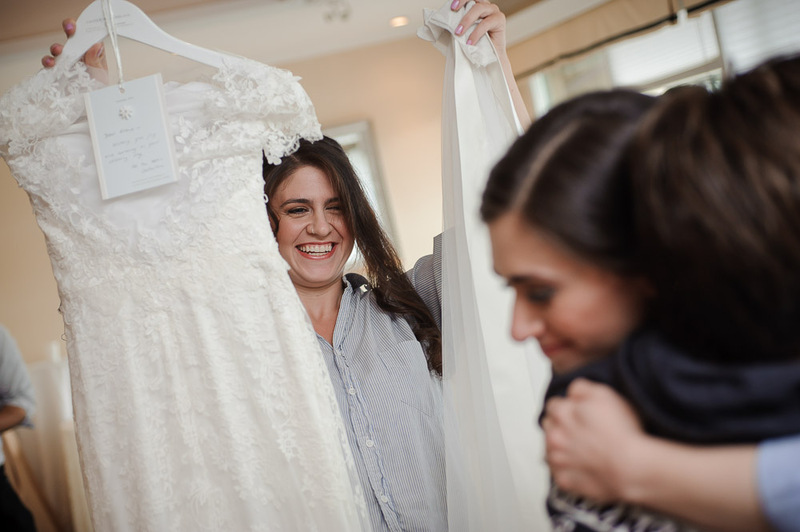 We started in the morning capturing Elana and her bridesmaids getting ready in the bridal suite of the country club. We entered to a strong positive vibe in the room complete with music, laughing and lots of tears (happy ones) before we found Michael who snuck into the library where he was hanging out with his brother and reflecting on this momentous day. After setting up their first look, Sheena, Vivek and I used many of the artistic elements in and around the club. 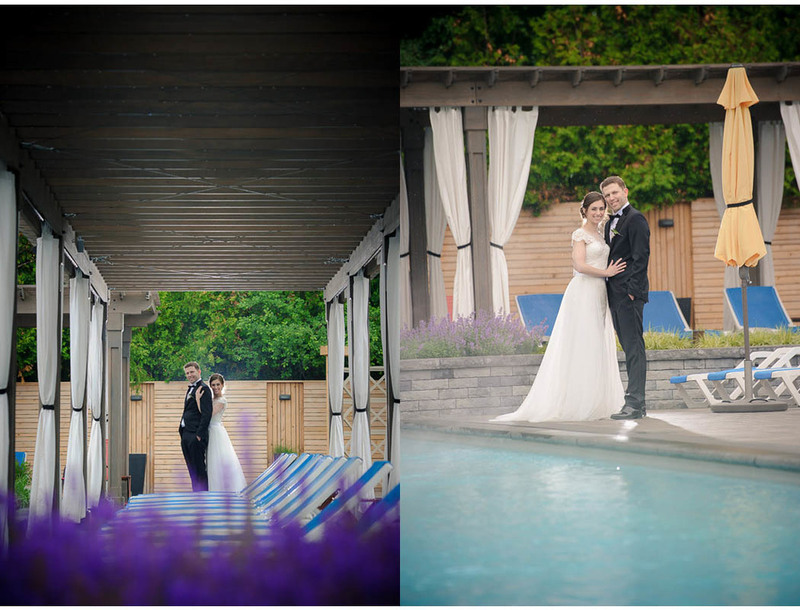 It was sightly drizzling so we made sure to get a few pictures outdoors with Elana and Michael who came prepared for the day with their umbrellas and care-free attitude. We then wondered around the newly renovated pool area to have some fun and get a little more creative before the ceremony. After saying their I Do's and sealing their marriage with a kiss, it was time to party and this one didn't disappoint. We've never seen a dance floor so busy all night long. Even the slow songs packed the floor! It was a definite reflection of all the energy and excitement we felt since we arrived in the morning. This wedding had it all and we were touched to listen to the many speeches that brought many guests to tears (happy ones). We ended off the night by heading outside with Elana and Michael to snap a long exposure image of them making a heart using sparklers. After all our attempts to have them make an actual heart shape (which is more difficult than it sounds), I liked the one that didn't turn out to be heart. It simply caught a moment of just plain silly fun using the sparklers. Elana and Michael were such a pleasure to work with and made our jobs that much easier because they made so many moments happen throughout the entire day simply by their excitement and love for each other which radiated through all the guests in attendance. We wish you both all the best and thanks for having us be a part of your memorable day!